NGA Master Drawings 1978, p. 75. 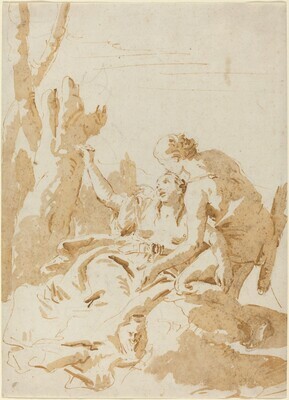 The Glory of Venice: Art in the Eighteenth Century, National Gallery of Art, Washington, 1995. Millier 1956, pl.20 (as "Young Woman and Youth: Cephalus & Procris? ").